This master suite bathroom was designed as part of Jay and Mary Harmon Youngs new home located in the Waterfall neighborhood in Tuscaloosa. Jay is the owner and principal designer of Toulmin Cabinetry & Design. The bathroom is a showpiece of what is possible in master bathroom design. 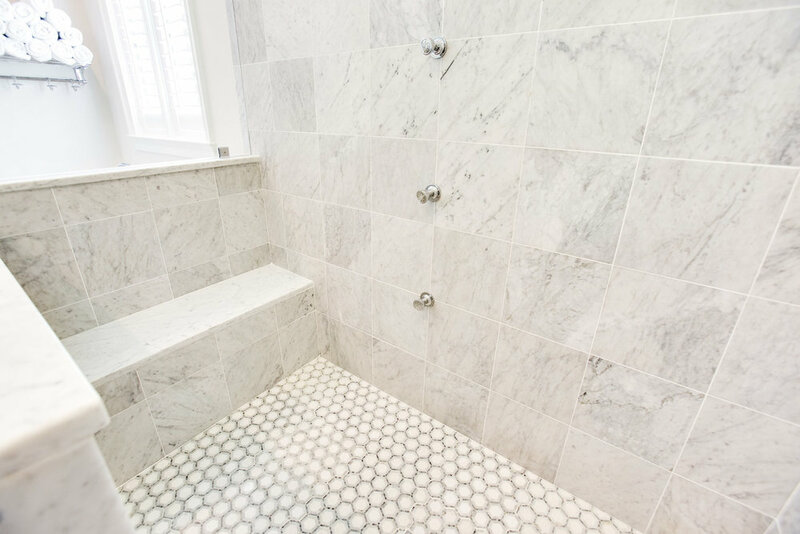 From the European glass walled shower to the soaking tub to the Carrara marble used on the surfaces throughout the room, this bathroom has it all. 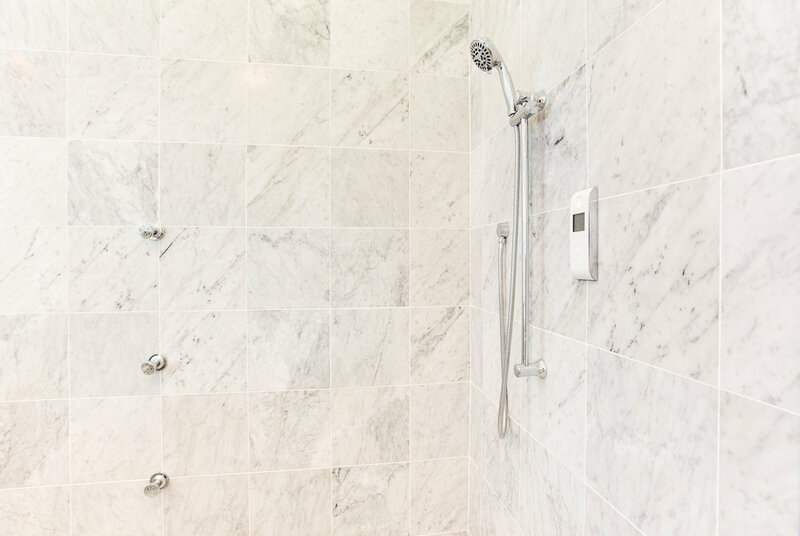 White is an ideal color for a master bathroom design. It is soothing, has a clean appearance, and is always elegant. This master bath has a white soaking tub by Oceania, white vanity cabinets by Shiloh cabinetry, and white Carrara marble vanity tops, floor tile, shower tile, and ledge. The glass shower enclosure and door and oversized mirror lend to the graceful, high-key aesthetic. Neither sterile or plain, a predominantly white master bath can be elegantly nuanced and very relaxing when crafted with an experts eye for design. At Toulmin Cabinetry and Design we use the best local subcontractors and source the highest quality design elements possible. The architect on this project was Clem Burch, a trusted partner based in Birmingham, the builder was Jay's father, Michel Young of Toulmin Builders and the interior designer was Randall Bobo of Randall Dress and Design in Tuscaloosa. The materials and fixtures used in this bathroom were mostly sourced from trusted vendors in West Alabama. This master bath was part of a new home construction project. Click here to read more about this project and see a list of the vendors used.